Recently it became time for us to get a new flag. 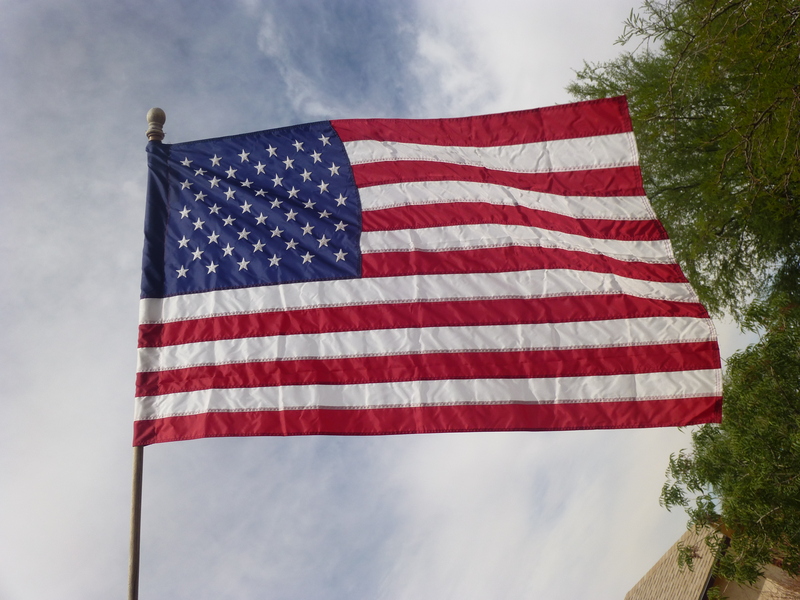 The USA flag we’ve been flying proudly in front of our house had become too worn. Once replaced, we needed to dispose of the old one properly. So, what to do? Why have our own flag retirement ceremony of course. This was a great chance to role model respect and patriotism! You can make your flag retirement as simple or fancy as you would like. The most important thing is to show respect. 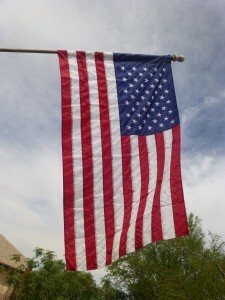 The US code title 36, section 176 states: “The Flag, when it is in such condition that is is no longer a fitting emblem for display, should be destroyed in a dignified way, preferably by burning.” Many people cut the stripes and stars prior to burning. Then the ashes are buried in a respectful place. If your flag is made from synthetic material you probably want to bury the flag (like we did) since the burning can produce toxic fumes. 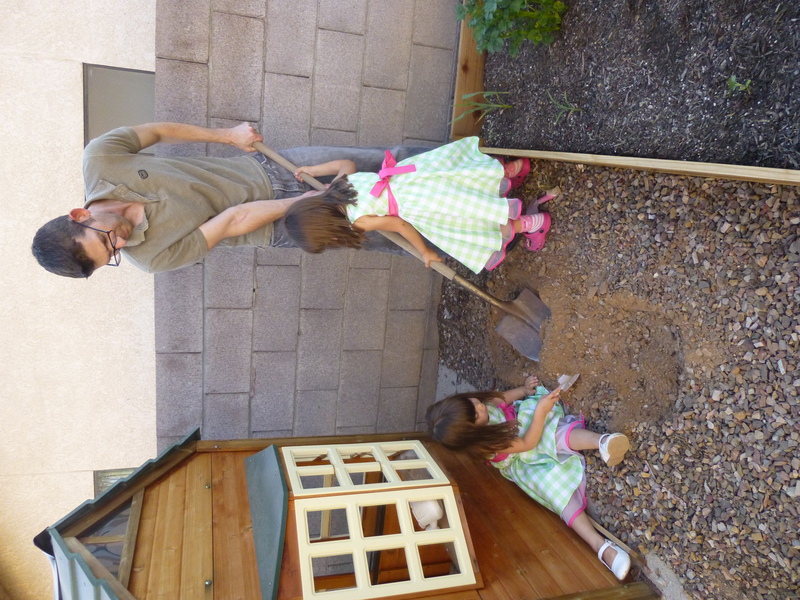 When burying ours we explained to the girls why we were doing it. 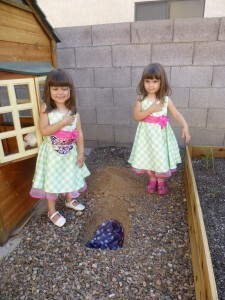 We then said the Pledge of Allegiance and sang “You’re a Grand Old Flag.” After that the girls helped to bury the flag. It was simple but respectful and the girls were very proud of participate. If you are looking for something more complicated a quick search of “flag retirement ceremony” will give you all kinds of options. One of the most patriotic events I have ever witnessed was a flag ceremony by the Girl Scout troop I led. 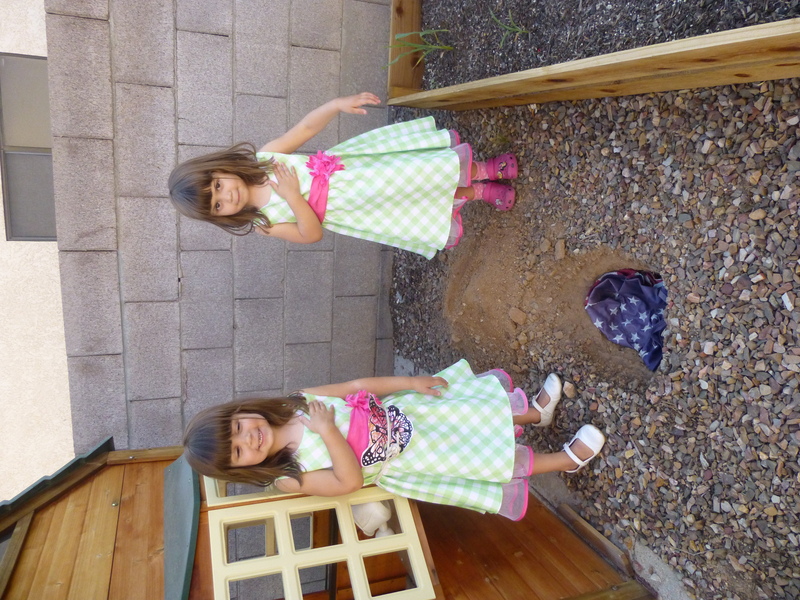 The girls did a flag ceremony with the flag, posting the colors one last time, then that night at the fire they recited patriotic quotes while each laid a piece of the flag upon the fire and then sang patriotic songs. The pride and consideration the girls showed was very moving and left every adult impressed. 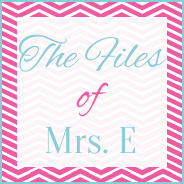 Don’t want to do it yourself? You can contact your local scout groups, American Legion, or VFW post to dispose of your flag for you. I know that at one point our local Boy Scout organization was overrun with flags while the Girl Scouts rarely received any. Just something to consider.